If you need a place to sit with your computer or over coffee with friends, go to @NestCB, Essex Junction. At this 20-seat spot, you can expect wooden tables (including a long communal table), comfy chairs, and big sofas. It is a casual spot where you order at the counter. 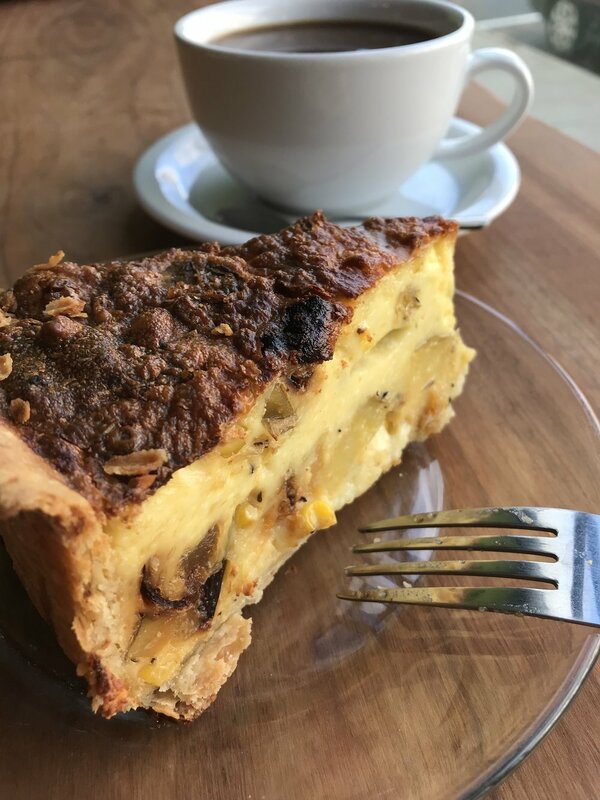 This coffee-focused bakery serves egg sandwiches in the form of a muffin, espresso cookies, quiche, and more. Today, I enjoyed the house-made quiche which was generously filled with potatoes, caramelized onions, and corn. This savory dish had the perfect balance of flaky crust, creamy custard, and rustic appearance. It pairs well with the Nest's perfect pour over coffee.